Smart move or disaster in the making? After writing ‘Pink Slip Anxiety’, a simple guide on how people can financially prepare for possible job loss, I started thinking about the dynamics around money management in relationships. In most relationships, the partner who is viewed as the most financially responsible will be the one entrusted with handling finances. As the responsible one, he or she pays the bills on time, have a family budget and orchestrates the ins and outs of the finances. This is assuming full financial disclosure from both parties. However, what if one or both are hiding money from the other? 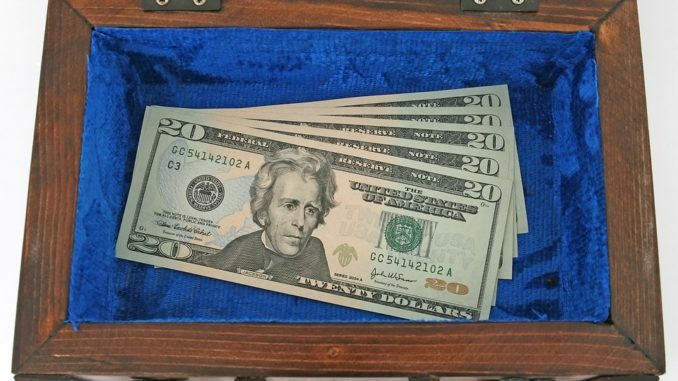 Is it ever justifiable to hide money from your spouse or significant other? I decided to post this question on my personal Facebook page and received varying opinions. Some of the comments were the categorical: definitely hide money in case things go bad. Others believed that secrets in a relationship leads to problems in the future so full disclosure is a must. Most believed that a personal separate account was okay but its existence fully disclosed to the other party. A USA survey conducted by the National Endowment For Financial Education, determined that three in ten Americans who have combined their finances with a partner have lied to their significant other about their finances. The survey also found that 30 percent have hid a statement or bill, 16 percent have hid a major purchase, 15 percent have kept a secret bank account, 11 percent have lied about their debt, and 11 percent have lied about how much money they earned. For 16 percent of the couples surveyed, the financial deception ultimately led to divorce. I believe that in situations such as planning an escape from an abusive relationship or being married to a financial irresponsible person, hiding money is not only okay, it is a smart move. Aside from these reasons, hiding money from a spouse or hiding anything in a relationship is not wise. If one feels the need to have their own money, their own security blanket, for whatever reason, then an honest conversation needs to be had. Deception, whether financial or otherwise, is always a recipe for disaster. thank you for this article .there is much around to be thought through, but the conclusion that its never a good idea to hide things frm ur spouse is true, and if one feel its a necessity . then its really alarming. and need to be solved. Trust is earned, should be earned in a relationship. Everything that results will be based on the trust framework…..